That poem made me grin. Who could resist such a temptation? Your poem is the perfect match. Sounds good and I love your shot. 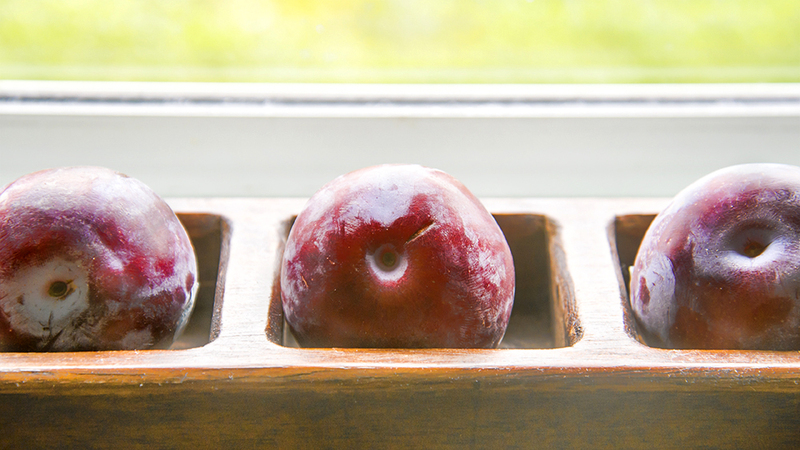 Icy cold plums with the bloom of the freezer still clinging to their skins! Perfect poem for the fruit! How cute and how cute with the photo, loved it. The photo especially looks cold and juicy. Have a beautiful week…and keep entertaining me. Not only are they photogenic … they look mouthwatering! Can’t blame Mr. Williams for his actions. I loved this poem, and the beautiful photo to go with it :-).